The stylish Citroen C4 Picasso provides 5 seater motoring with a look and feel that is more akin to compact luxury car. The ride is comfortable with an interior that feels more expensive than it actually is. The ride is quiet even at motorway speeds and both driver and passengers will feel they are in a bigger vehicle then they actually are. The 7-inch touchscreen is the heart of the Picasso, giving you instant access to everything you need. Round the back the impressive boot can easily handle holiday luggage with 537 litres at your disposal. 630 litres are available with the seats down. The panoramic sunroof comes as standard and is a fantastic addition perfectly setting the tone for the interior feel. Air conditioning, all round electric windows and the 7-inch touch screen also come as standard. Fuel economy from the diesel engines will pay for the holidays alone the ample boot will hold the luggage for. Returns up to 74.3mpg is achievable with some engines yet still delivering performance to put a smile on your face. 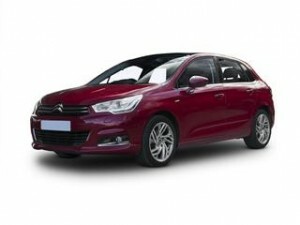 Coast2Coast Cars has access to the range of offers for the Citroen C4, this includes any spec and any model. Avoid paying list price when you use our online offers quote system you could save £1,000’s when compared against new prices. It couldn’t be easier, simply fill in the form, choose your spec and view the final prices. Finance can be arranged should you require this and this can be discussed when you have viewed the final prices.